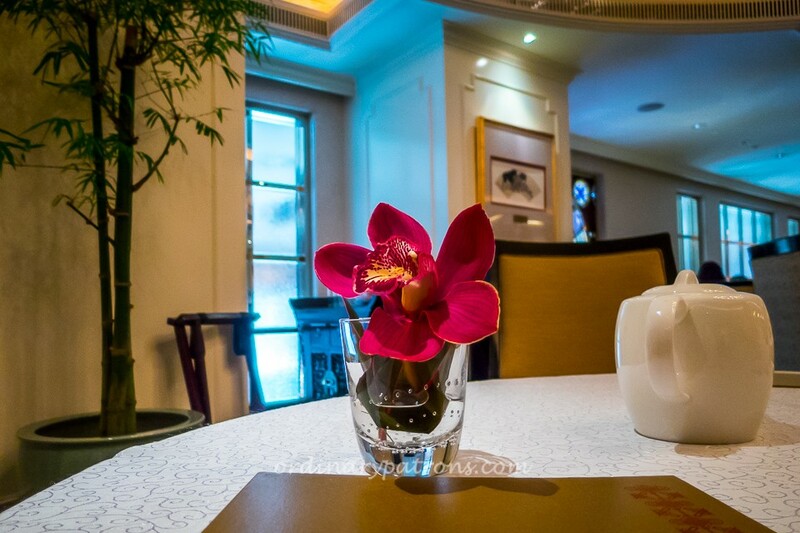 Yan Ting means the Imperial Courtyard for Banquets and you would expect it to look grand, and it does in an elegant understated way. 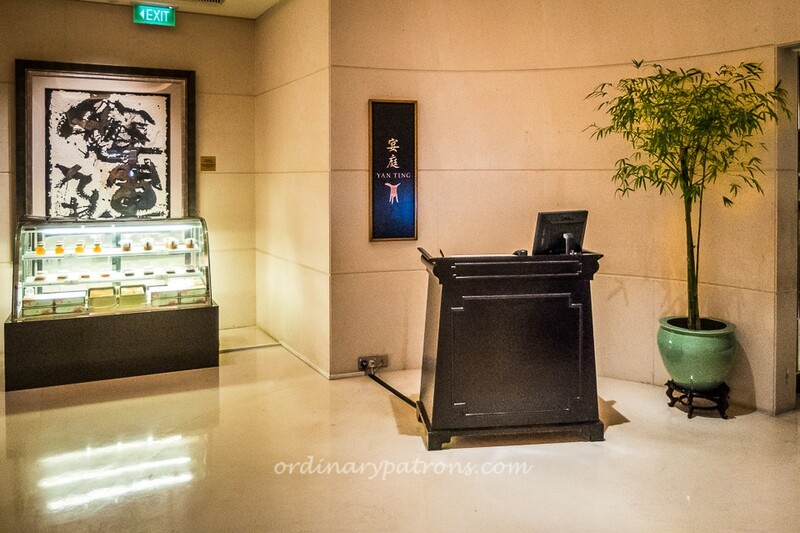 Yan Ting is located on level 1U of the St. Regis Singapore. It has a contemporary Chinese decor. The interior, which combines modern and classic elements with sophisticated results, provides a refined luxurious space with a sense of serenity. We went there for dim sum on a Sunday morning and had an enjoyable lunch. The table setting, crockery used, food presentation and service were of a high level befitting the name of the restaurant. 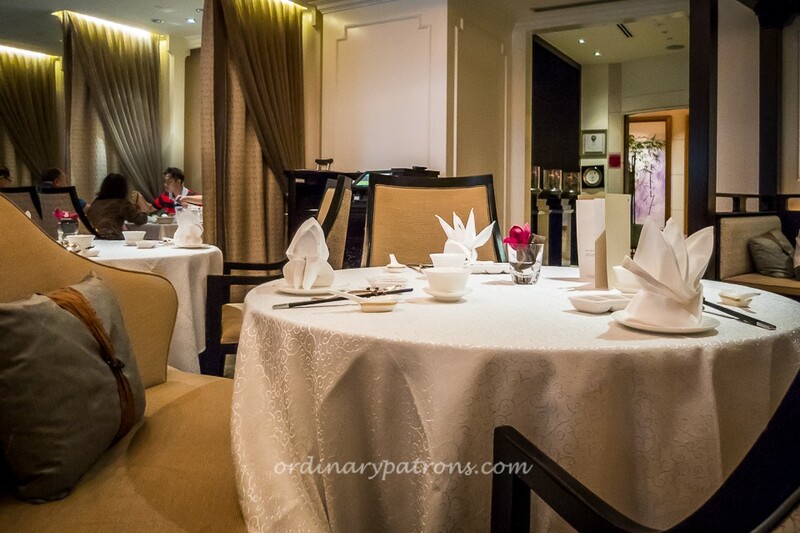 Yan Ting serves refined Cantonese cuisine and is renowned for their dim sum. On weekends, they have a Dim Sum Set Menu for $53 (food only) or $93 (with complimentary flow of beer, wines, soft drinks, juices and tea). They also have a Weekend Brunch Experience Menu – priced at $108 (food only), $148 (with complimentary flow of beer, wines, soft drinks, juices and tea) or $168 (with complimentary flow of champagne and other beverages) – which allows you to savour the full range of their dim sum delights plus abalone soup, wok-fried lobster and other lunch items. 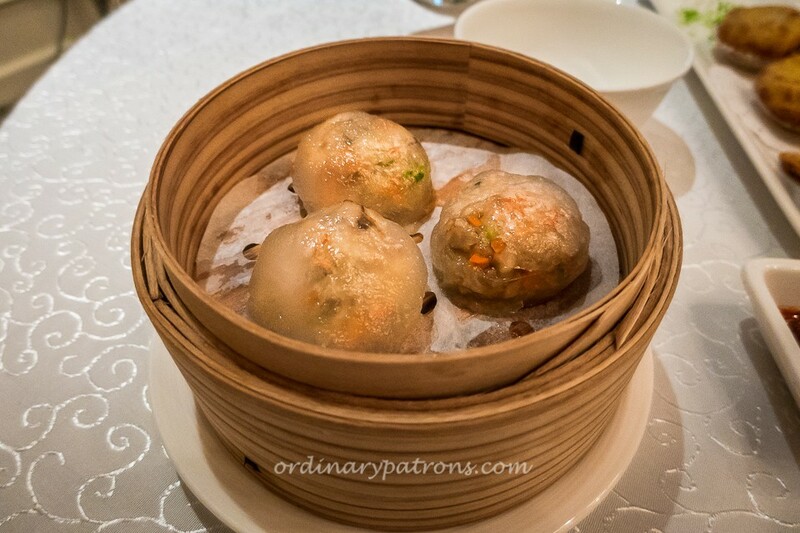 We ordered from their ala carte dim sum menu, picking the Pork & Century Egg Congee ($9), Crystal Dumplings ($6), Oven-Baked Barbecued Char Siew Soh with Almonds ($6) and Mini Chicken Pies with Mango ($8). The porridge came in a portion smaller than expected but there were generous bits of century eggs and other delicious ingredients in the porridge. It was very well prepared and pleasing to the palate, if not the wallet. The crystal dumplings were average. The Char Siew Soh had pastry that was quite thick and not flaky. When you bite on the buttery crust, the texture felt just right. 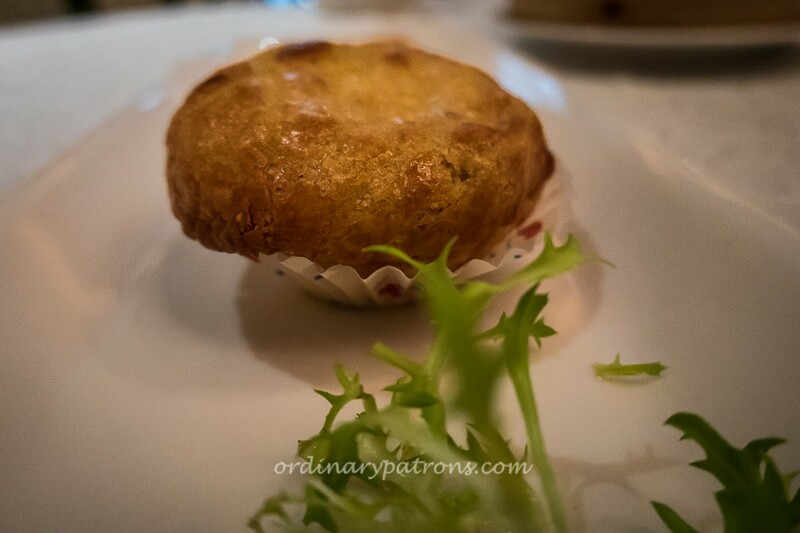 The delectable char siew filling combined well with the pastry for a very good Char Siew Soh. 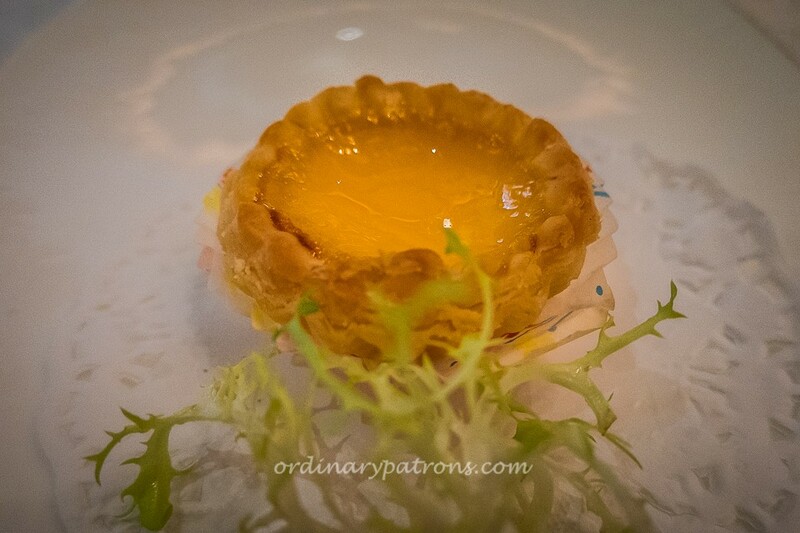 The best dim sum item we had was the mini chicken pie, though it did not look very exciting. Inside the crisp shortcrust pastry was a filling of mango and chicken pieces with a light creamy sauce. The sweet and slightly tangy mango provided the zing to make the humble pie the pride of the table for the day. Delightful bite-size egg tarts rounded off the meal nicely. We like the place. The food was generally quite good. The service was highly professional. The staff was busy but was attentive and courteous. 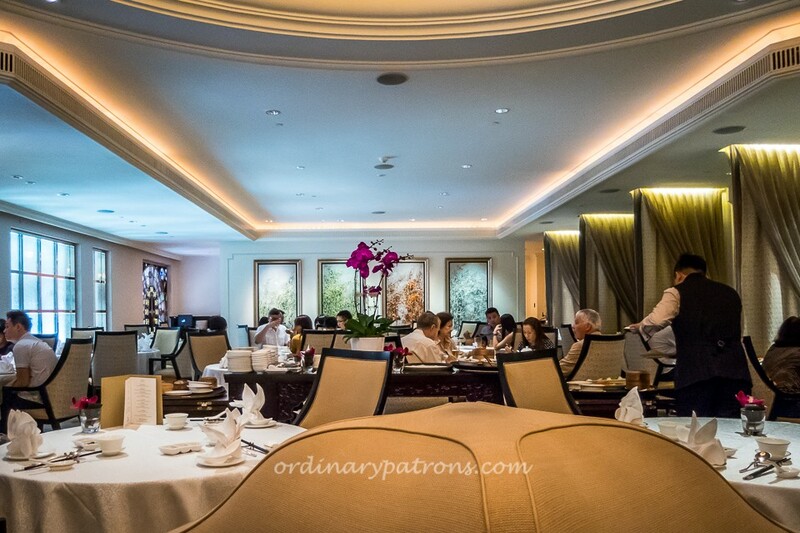 Overall, we had an enjoyable meal in a very nice setting, and paid about the same as we would at other popular dim sum restaurants in Singapore. 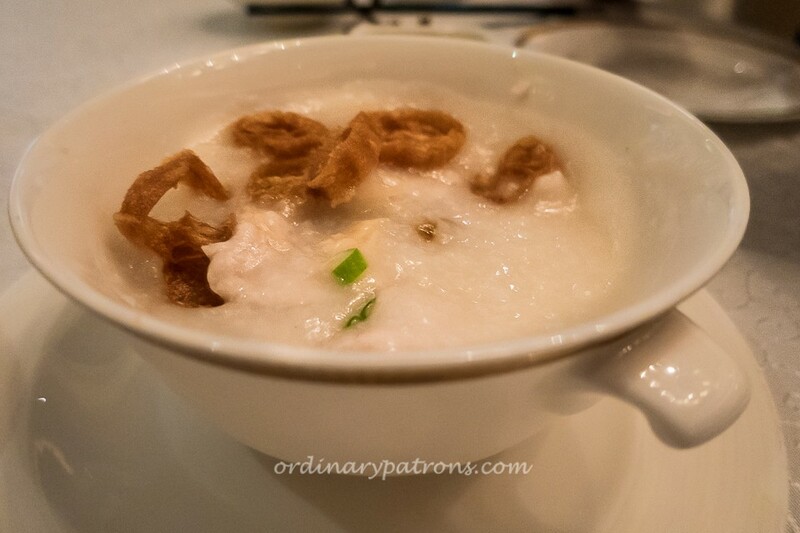 Yan Ting is very popular so reservations are advised, especially on weekends.